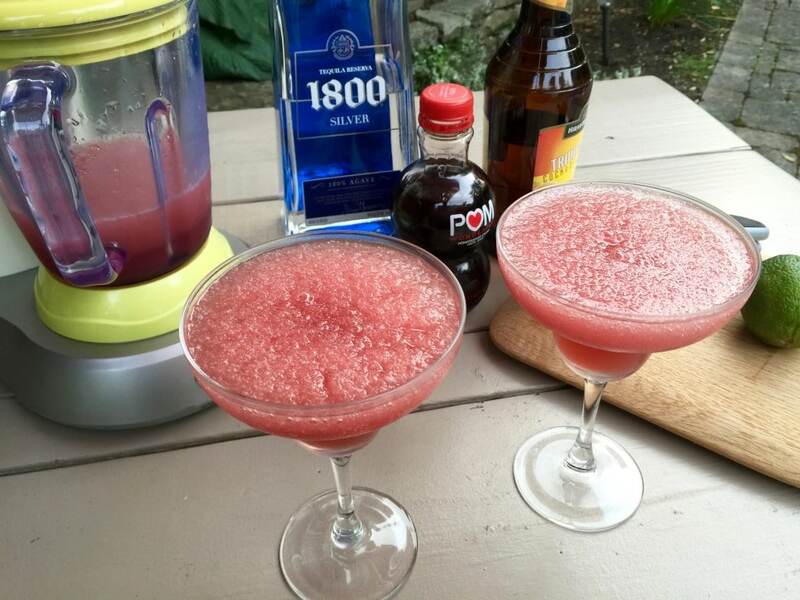 Everyone loves margaritas but did you know that with the simple addition of some Pom Wonderful Pomegranate Juice, you can take your margarita to the next level. 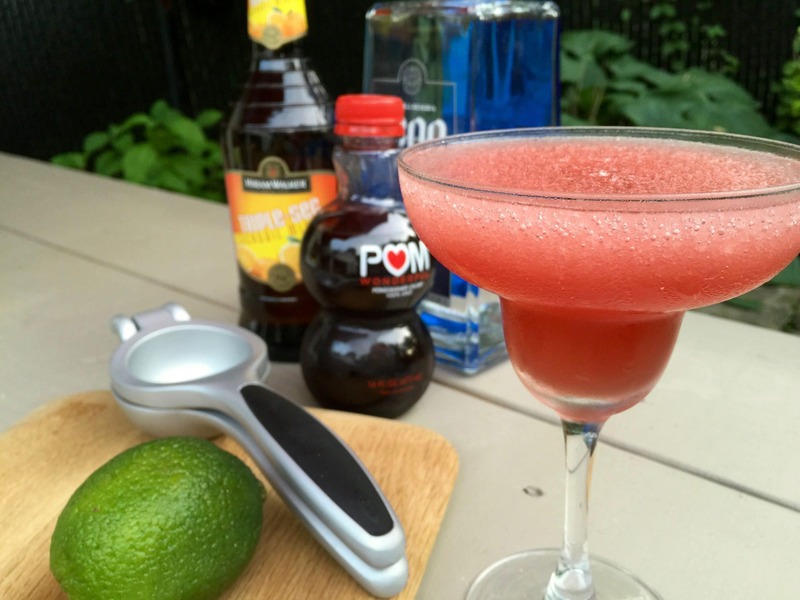 Why have a regular margarita when you can have a Pomegranate Margarita? Let me tell you why I started making Pomegranate Margaritas. The past couple of summers we have vacationed with a bunch of other families at the Outer Banks, NC. We rent a big 10 bedroom house on the beach with a pool and an elevator and it’s just a great time for everyone. The 13 kids have a blast with minimal parent supervision and the 10 parents have a blast with minimal children supervision. Me and another Dad like to bring our margarita machines to the beach house. We keep those machines spinning away from the 1st day we get there to the last. But by mid week people tend to get burnt out of all the lime and tequila goodness and want something else. They say things like, “How about something different?” And “Oh none for me thanks. I’m going to try this slo gin fizz mix that I got at the liquor store.” What you need in this situation is a way to recharge everyone’s margarita batteries. Seriously, if I’m going to lug my margarita machine all the way from New Jersey in my totally stuffed car then we’re going to use it. And the way to use it is with Pomegranate. Whether you make your margaritas from a pre-made mix or you actually squeeze the limes yourself, just adding a little Pomegranate juice to the mix will do the trick. For a full blender, I like to add about a cup of the pom. If you’re making individual drinks (how’d you get stuck doing that?) add about a shot. If you want to rim the glass, regular salt will work just find. 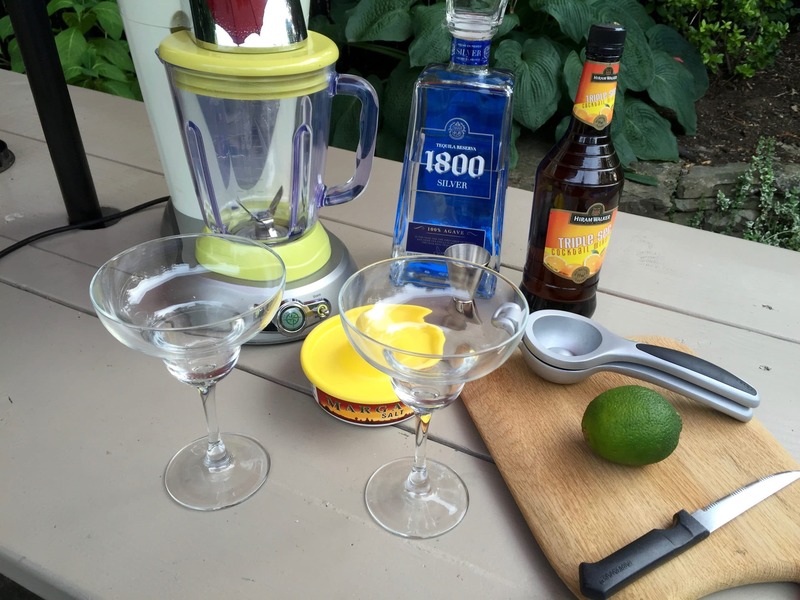 To go the extra mile, mix salt and sugar and rim with that. The Pomegranate and the sugar go great together plus you get the regular salty flavor as a bonus. Garnish with a lime slice or if you want to go all out drop a few pom seeds in there. It’s really not necessary because most people won’t notice them floating at the top of the drink and they could be a choking hazard. Now that is not the way to make a great drink for a memorable vacation.